Video Content: At June, 2016’s annual AFFN Convocation, Network member Dr. Jacob Kaufman presented “Synthesis and Summary: Applying Ancient-Future Principles in Evangelical Worship Traditions” and led led us through some of the theological and practical considerations involved in writing liturgical prayers. He drew from his planning and implementation of a recent class at the college taken from a recent paper, “Teaching, Constructing, and Executing the Prayers of the People.” With particular emphasis on Luke 11:1-4, he highlighted these important questions: How are we formed as leaders through prayer? And, how are our congregations formed spiritually through our corporate prayers in worship? Jacob, who holds degrees in Christian thought and a DWS, is the chair of the music department and director of the contemporary Christian music program at Central Christian College in McPherson, Kansas. 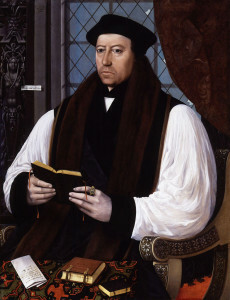 “Thomas Cranmer.” Gerlach Flicke. 1545. Oil on panel. The genius of historic Anglicanism is found, at least partially, in its ability to synthesize and simplify. Thomas Cranmer simplified many aspects of an exceptionally complicated “Catholic” tradition in order to make it accessible to common people who sought to live common lives of uncommon prayer. Cranmer’s devout approach to accessibility applies, although unequally, to the Bible, public worship and private devotion. Cranmer’s broad Nihil obstat is in some way affixed to each of these, most especially as we remain faithful to the English Reformation and the Book of Common Prayer. BLESSED Lord, who has caused all holy Scriptures to be written for our learning; Grant that we may in such wise hear them, read, mark, learn, and inwardly digest them, that by patience and comfort of thy holy Word, we may embrace, and ever hold fast, the blessed hope of everlasting life, which thou hast given us in our Savior Jesus Christ. Commenting on this prayer in The Collects of Thomas Cranmer, C. Frederick Barbee and Paul F. M. Zahl tell us that “Cranmer invites us to love the Bible and learn it.…” The question is, however, how can we most effectively learn it? Although many answers to this question have been offered, one stands the test of time: Lectio Divina. Lectio Divina, Holy Reading, is an ancient practice that has garnered a great deal of attention over the past quarter of a century. Books abound, and many groups have been formed around the priority, principle and practice of reading the Bible in this manner. Nevertheless, and in spite of my being associated with a monastic community for many years, I have often struggled with the three-fold or four-fold process of Lectio. The words used to explain this process were foreign, unfamiliar and frustrating. And then I discovered Cranmer’s Collect! As I reflected upon his prayer, several words dominated my thinking: HEAR…READ…MARK…LEARN…DIGEST. These are important words. Cranmer was not only devout, he was deliberate. When examined his words frame the practice of Lectio Divina, Holy Reading. They provide us with a broad and brief outline for reading the Bible well. HEAR: The first word centers our considered concentration within the context of community. The Holy Reading of Holy Scripture is not an isolated activity. We read within the context and confines of Church. (In this sense, Lectio is very much like “doing” Theology.) Many in the primitive Church could not read. In order to hear God’s Word they needed to attend some form of public worship. Bibles, as such, were not (generally speaking) in homes. Although we are afforded such a luxury, and often have three or four Bibles on our bookshelves, this was not the experience of the early Church. Hearing was a community event that was corporately embraced and enjoyed. Consequently, to some degree, community determined interpretation. What this means for us is that contemplation must be set within a community context. Meditating upon Holy Scripture is not a serendipitous enterprise. We should not read the Sacred Text as if it is a Ouija Board, hoping that in some way, somehow, God will have something to say to us– if we could only discover the right letters or words. Certainly we need to listen. Certainly God has something to “say.” We must, indeed, be alert and attentive. Nevertheless, and importantly, what we hear must be honed by community consensus. In other words, our hearing must not simply confirm us in our perspectives. Rather, God’s confirming and comforting words (that sometimes convict, convince and convert) must in some way conform us to the community of the Church to which we belong. It is God’s Word to God’s people of which I am just a small, albeit important, part. ME and MY Bible conforms to WE and OUR Bible– as revealed by God and revered by US. READ: There are many ways to read the Bible. Many read the Bible consecutively, beginning with Genesis and ending at Revelation. Some people study a theme. Certain passages tend to dominate the attention of others. Others read texts in keeping with the historic Lectionary. All of these have value and, although some methods to be commended above others, all can be edifying and instructive. 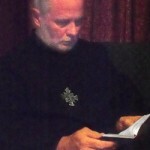 Lectio Divina, Holy Reading, provides us with a unique way of reflection. Although any of the methods cited above can be used, Lectio tends toward brief readings. That is, Lectio tends to focus upon short passages for sustained attention. Many years ago, almost forty to be exact, I was introduced to the life and writings of the Eastern Christian mystic, Sadhu Sundar Singh. This man’s method of reading Scripture was in keeping with the practice of Lectio Divina. He would take a VERY small portion of the Bible and meditate on it. I, in contrast, would read extensively from the biblical text. Singh read for DEPTH and I read for breadth, but, regarding the practice of Holy Reading, DEPTH is what we are seeking. As such we must read less in order to read more. Certainly there is a place for broad reading. We must be attentive to the “whole counsel of God” within the whole community of the Church. And yet, at times, reading deeply is to be preferred. To grow up we must grow down, we must allow ourselves to “sink” and “drink” deeply into and from the Sacred Text. Reading well means that we devoutly delve deeply into the text– and that without Commentaries. No tree grows tall with shallow roots! MARK: We often rush through our reading. Passing from one verse to another we, at best, note passages of personal import. Sometimes we may even write it down. 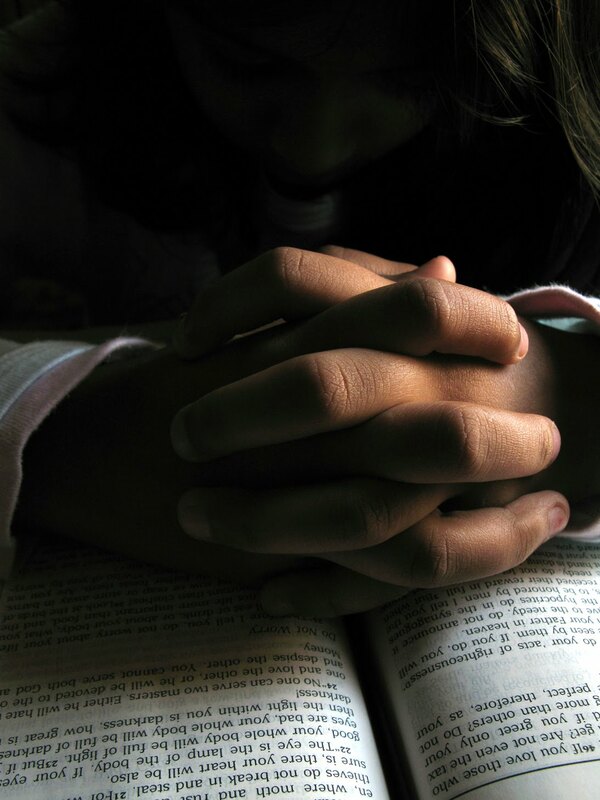 Sometimes, if very lucky, we may even try to pray the Text. Marking means that we, in our reflective reading, have identified a word, passage or idea that has special significance for us. We “mark” it “important.” As such we spend time with this text. We read and read and read it. We think about it. We ask it questions. We let the Text question us. 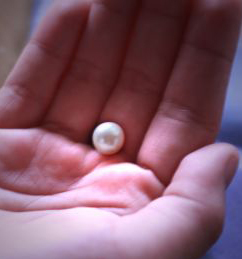 We turn it around in our hearts like a special marble (dare I say pearl!) in the hand of a child. We sit silently before it. We understand this within our relationships. One of the best things about my relationship with my wife is that, although we DO speak, we often just enjoy each other’s company. We mark each other’s presence by being and waiting and enjoying. We embrace the presence of each other and, on many occasions, say very little. I am sure that you enjoy this with your spouse as well– or I at least hope you do. Marking the word is to wait within it. Marking the word is waiting upon it. “I wait for the Lord / My soul does wait / and in His word do I hope.” Marking the word is letting it have its way with us. LEARN: Catholic devotional writer, Thomas á Kempis, has rightly acknowledged that some learning is only achieved by doing. He writes, “He who would completely understand the words of Christ must entirely conform himself to the life of Christ.” Western Christians often think of learning in academic terms. Rarely do we think of learning by doing– or learning as doing. Information is valued far more than transformation although, thankfully, this is beginning to change. Education without application produces, at times, doubts. Education without transformation is damning. In the practice of Lectio Divina, Holy Reading, reflection always leads to action. We must DO in order to develop. At times our “doing” may move us inward. We may need to attend to our own private attitudes and orientations. At other times our “doing” will move us outward, toward others. Both however, upon learning, move us upward into God. This upward action moves us outward beyond ourselves. Lectio is about encounter. It is about being with God. It is about being with others. It is about being with our deepest self, in all of its glory and ruin, as we encounter the God within which we “live and move and have our being.” Insight is important. Understanding is critical. Action is crucial. Learning has both lips and legs. DIGEST: Digestion is aided by thorough chewing. The more we chew our food the more our digestive system will be aided. This applies to the practice and priority of Holy Reading. As “hearers” and “doers” of the word we must also learn to be efficient and effective “chewers” of the word. One of my many bad habits is gulping my food. (Certain Eastern monastics do the same thing, but for radically different reasons!) My wife often tells me, politely but pointedly, “CHEW!” Of course she is right. Because I do not chew as well as I should I at times have stomach problems, my teeth do not get the workout they need, and the nutrients I should derive from chewing are minimized. The same is true for HOLY Reading. Holy Reading means that we must wholly read. We must chew, chew, chew, chew, and chew the biblical text if we are going to derive the nutrients we need from it. This means that we never move beyond the Holy Text. To read the written word well is to encounter the Living Word. We cannot dispense with one without dispensing with the other. Word and word are connected and, properly understood and articulated, are one. Christians should and must concern themselves with Bible Study. Study, as Richard Foster has so capably stated, is a discipline for disciples. As such there will always be a place for devout academic inquiry. These things said, however, Holy Reading graces us with the opportunity for encounter. It provides us the essential luxury of being with God. Loving the written word, which Cranmer commends, requires living in and with the Living Word. Are we luxuriating in Lectio– in Holy Reading? Like what you’re reading here? Learn more about the Ancient-Future Faith Network before you leave. And please consider becoming a member or making a small donation to keep great content like this coming. The Lord be with you! Chris Alford: AFFN Contributing Member Dianne Collard is back with another terrific article, this time with a look at the places where visual art and contemplation and prayer come together. Setting the context and stating the purpose of a paper probably should not be done in negatives— telling you what it is not. And yet it seems that is what I must do. This paper is an overview, a synopsis of some of the published writings on the subject. It is not a detailed analysis of the role of the visual in Christian practice. Likewise, I will not attempt to discuss the purpose of the visual in general worship services. There will be no discussion of the psychological issues regarding this subject, nor how postmodernism and the arts affect the language of spirituality. I will also neither attempt to be prescriptive nor pejorative. What I do offer to the reader is an overview of the visual in devotional practices, as well as a short historical review of denominational distinctions. The paper will close with some examples of visual aids used in promoting devotion to God. I hope that it will encourage you to include visual art in your own devotional practices. To download and read the complete paper, please click here. Image above right: Vera Icon. Unknown German artist. 19th century. We are all familiar with the warning, “be careful what you pray for.” Although this caution is often offered with considerable tongue-in-cheek, it is also wise to carefully reflect upon its admonition. Prayer is, indeed, dangerous. Often, as when James and John lobbied our Lord for priority of place, we are not entirely sure what we are requesting. We may have a breadth of understanding, but we lack considerable depth. While this may apply to a multitude of both fixed and free prayers, this breadth without depth becomes most obvious in the prayer that Jesus taught his disciples. More often than not we recite this prayer– even when said from the heart– with little attention given to the dangerous priorities we are setting. We understand its broad petitionary skeleton, often utilizing it as a pattern and a process for prayer, without comprehending the essential marrow of its existential expectations. Many of us were taught the Lord’s Prayer as children. Over the years we have recited this prayer, often daily and weekly at church, with an abandon that can only be rooted in innocence. Whether said in the morning, mid-day, or evening, the Lord’s Prayer has provided comfort for countless souls. Over the years I have become increasingly surprised by the number of Christians who have no devotional life, not to even suggest a life of devotion. It seems that, at least from my contacts and conversations, these people have little will or wherewithal to properly discipline themselves. Oddly, refusing to spend time with God, they wonder why they exhibit minimal growth and experience maximum temptations. A man I know quite well experienced the socio-psycho-pneumatic fallout of this neglect almost immediately after his reversion (he was raised within a Christian home) and return to the church. Having barely emerged from the drug-using subculture, in all of its expressions, he did little more than attend weekly services of worship. Little attention was paid to prayer, the reading of Holy Scripture, and other devotional practices. In short order he returned to his old wayward lifestyle and, for about a year, was much worse off than he had previously been. He himself admits, now for some years stable in Christ, that he was as “a dog returned to its vomit.” Anyone who refuses to actively walk with God, to practice disciplines, is subject to the same spiritual dereliction. Thomas á Kempis, in the above-cited quotation from his first book, outlines a pattern and process for spiritual growth. If the soul wants to advance in her relationship with God, she must apply herself to rigorous – or at least regular and consistent – discipline. There are at least four disciplines, and / or dispositions, to which the soul must avail itself. If the soul is to “learn the mysteries,” she must first be inclined to strive toward God. She must “hunger” and “thirst” for the Beloved. This is not our work, it is the work of God. The Spirit must incline our hearts toward God. It is not a goal that we achieve, it is a grace that the Christian receives. If we are not passionate for God, if we do not desire the Divine, we must carefully examine our relationship with God. Those who are alive by the Holy Spirit want to live holy lives. While there will be struggles, and failures, the perpetual passion of the Christian is to want to be holy. We want to walk with God. We want to be with him. If there is no desire, we are in a state of spiritual decline and are on the path of spiritual dereliction. Moreover, to learn the mysteries, we must cultivate silence. One of the highest compliments I have given my wife, a compliment that she had no difficulty in understanding, was when I told her that “being with [her] is as good as being alone.” Think about it. Although my wife and I do enjoy wonderful conversations, we also enjoy periods of protracted silence. We simply sit and enjoy each other’s company. We “be.” One of the primary monastic disciplines, and ascetic Christian discipline, is silence. 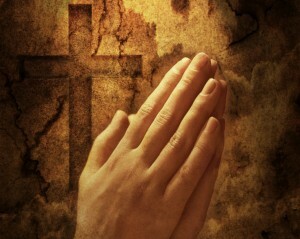 Often, when we pray, the conversation is almost entirely one-sided. We speak and, we think, God listens. While God does listen, and while God does want to hear what we say, God also wants to speak with us. Sometimes God wants to speak, or simply be, with us. Without cultivating the discipline of silence we will not be prepared to hear the voice, or the presence, of God. Silence prepares us to hear Scripture and Spirit– as well as the “saints” who also have something to speak into our lives. Stillness, a third discipline, takes us beyond the place of silence. Silence is practiced so that stillness may be attained. In any relationship there is “baggage” needing to be addressed. If we are not attentive to this “baggage,” life begins to pile up and problems begin to occur. Soon, if we do not address these issues, they begin to make demands upon our attention. The issues begin to shout for our attention. Soon, if we are not attentive, they begin to scream. This applies to silence and stillness. Anyone who has sought to cultivate silence in her life will invariably experience a number of “voices” or obligations clamoring for attention. As soon as you settle down to be with God, a host of distractions seek to dissuade us from our intention. These distractions that dissuade, these “voices,” must be committedly and consistently set aside by the practice of silence. We must, during our time with God, refuse to attend to their insistent demands. Solitude is achieved when the discipline of silence gives way to the disposition of stillness. 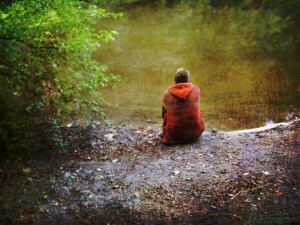 When we no longer are distracted by demands, when no voice but God’s insists upon our attention, stillness is achieved. How might we accomplish this, keeping in mind that stillness is a grace received as well as the reward of discipline? Several practical practices can be helpful. First set aside a fixed time, morning and evening, when devotional practices (time with God) can be cultivated. Second, especially if you have children and are busy, set aside a place in your home where you can be uninterrupted. This may require that you tell your spouse and children, as well as any roommates you may have, that you are not to be disturbed (apart from dire emergencies) when you are in this place. Some people have a room dedicated to this discipline. Others have family altars. Others, yet, may simply have a chair, designated as the prayer-chair, where others know that they are not to be disturbed when sitting in this particular place. Sacred space must be secured and developed! Finally, begin your time with silence. Stop. Wait. Wait. Listen. Listen. Let go of your desire. Let go of your responsibilities. Release all of these things to God. Let Go and let God. If insistent items still demand your attention, write them briefly down in a notebook to attend to at a later time. Silence prepares the way for stillness. Silence prepares the way for speech and for song. Thomas á Kempis’ above-noted quotation suggests that silence and stillness prepare us to learn the mysteries of Holy Writ. This is true, but not exclusively true. Reading and reflecting upon Holy Writ also prepares us for silence and stillness. It is not without reason that many Prayer Books begin with a biblical quotation, often coordinated with the Seasons of the Church, as an opening to prayer. As an example, one among dozens, a “Sentence” I like to say is “The Lord is in his holy temple, let all the earth keep silence before him.” Another introductory Sentence I enjoy is “I wait for the Lord, my soul does wait, and in his word do I hope.” These, as well as other biblical quotations that are silently reflected upon, can prepare us to hear and heed God. (Another, easily remembered because of its frequent usage, is “In the Name of the Father, and of the Son, and of the Holy Spirit, Amen.”) The reverent reading of and reflection upon the written Word of God can prepare us for silence and stillness. The Very Rev. 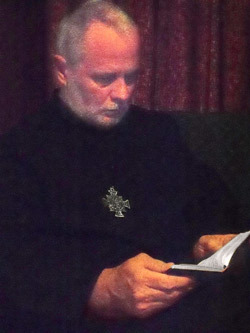 Dr. Donald P. Richmond, a widely-published author, is Priest-Oblate with the Reformed Episcopal Church and the Order of Saint Benedict, and is connected to St. Andrew’s Abbey in Valyermo, California. Image above, right: “Sitting in Silence.” Photograph. Alice Popkorn. Many of us from my generation, or my parents’ generation, are familiar with the ground-breaking television sitcom I Love Lucy. While every episode would change, there was one overriding and central theme: Lucy would make a mess and Desi and his friends would struggle to extract Lucy from the mess she had made. She, indeed, had a lot of explaining to do. Although our questions and consternations may revolve around a number of important themes, no theme is more poignant, pressing or painful than that of healing. What makes this issue so very painful is not, simply, that it impacts neighbors, friends, family and us. These DO cause us a great deal of heartache, but this is not the primary reason for the pain. Rather, especially for the Christian, the deeper reason for our pain is because God seems to promise healing in Holy Writ BUT DOES NOT ALWAYS PROVIDE HEALING. This is what is most disturbing! For years I have been wrestling with God about this issue. Likely I will continue to wrestle with God about this issue. The vast majority of my ministerial life has intersected with people who are in deep and abiding pain. I am absolutely convinced that Jesus Christ is the answer to all of our heartache. I am absolutely certain that the Bible provides the Christian with “all things pertaining to life and godliness.” I am equally convinced that, in spite of my best intentions and devoted study, God’s plans are far beyond my ability to understand– and this applies in all areas, including healing. So how are we to make sense of what we perceive to be God’s promise of healing and the (at times) apparent lack of healing that we so often experience? Shall we comfort ourselves with Dispensationalist, Charis-maniac, and Eschatological platitudes? Shall we assert that God DID do those things in the Bible but, now that we have Holy Writ, God no longer works miracles? Shall we berate those in need, or ourselves, for a lack of faith? Shall we embrace the pie-in-the-sky in the bye-and-bye expectation of God’s future and full healing? To be sure, some of these platitudes DO bear some weight. I actually DO expect full and future healing when our Lord Jesus Christ comes to right all wrong and dry every tear. But, in the meantime, people still struggle, suffer, and die. Christian people! What shall be said? How shall we respond? L et me, in spite limitations inherent to a devotional article, provide a biblical answer that has somewhat satisfied my profound disappointment in God. It is found in the “Lord’s Prayer,” the prayer that Jesus taught his disciples, the Pater Noster. This pattern and process of prayer offers some profound insights into the priorities of God regarding healing– as well as insights about a great many other things. What does it teach us? God is the Father of every believer in His Son Jesus Christ. God, as Father, loves and cares for us. As God, He holds “the whole world in His hands” as Mahalia Jackson has so soulfully sung. But God is not just MY Father, he is OUR Father. And, as OUR Father, MY healing and YOUR healing may not be His highest priority. St. Paul’s eye ailment served the best interest of God’s Church. The perpetual exile of St. Athanasius made the man and molded a theology. Spurgeon’s depression made him a great preacher. Phillips’ emotional turmoil, properly submitted to God, made him a great translator. Our pain may be for the “perfection” of our brother or sister in Christ. Like Christ, on some small level, our pain and suffering (properly navigated) may have salvific and sanctifying impact on another person. Was it without purpose that Mother Teresa suffered the absence of God’s sensed presence for almost the entire fifty years she labored in India? Her quiet suffering impacted the entire world. God is “above” us, and God’s purposes are not always apparent to us. Jim Carey, in the movie Bruce Almighty,found this out the hard way. We are on earth, God is in heaven, and the divide between the two has dynamic impact upon our socio-psycho-pneumatic lives. This “divide” is not always easy to swallow or digest. The best way to understand this is to appreciate that God Himself understood this “divide.” This is why he sent Jesus Christ, God in the flesh, into the world. “Heaven came down, and glory filled my soul,” is what the old hymn says. This is why our Lord instituted the Eucharist. This is why we have Sacraments. One of the few ways to get some understanding about God and His plan, about healing in a broken world, is to consider the incarnation, life, death, resurrection and ascension of Jesus Christ. Heaven needed to come down in order to lift us up. Christ’s brokenness was and is our blessing. God was not content to simply say the Word, He sent the Word– and this as a costly enterprise. This petition reinforces the previous petition. The hallowing of God is the authority animating the Kingdom that has come, is come, and will come. The Kingdom comes because God is honored first above all things. (Even if we refuse, God will be ultimately and eternally honored, praised and glorified!) The Kingdom comes, as we see in Christ, through struggle and suffering. When we ask for healing, when we ask God for any particular grace or gift, is it entirely for THY KINGDOM COME? Is it so that the WILL OF GOD WILL BE DONE? Or, more likely, is it a mixture? Do we want both God’s Kingdom and our convenience? Do we petition God’s will or our wishes? Is prayer simply a means to accomplish our “bucket list,” or are we militantly for GOD, GOD ONLY, GOD’S KINGDOM, GOD’S WILL? God IS concerned about all of our needs. But, from a human perspective on prayer, we must be concerned with, concentrated upon, and committed to, God’s Kingdom and God’s will. Let’s face it: Some Christians have not and do not receive their daily bread on every occasion. Did the Pre-Constantine martyrs receive their due portion of daily bread? Did the martyrs of the Reformation (BOTH sides of the Protestant and Catholic Reform) receive their daily bread when burned at the stake? Did the Japanese Christian who endured the tortures of 17th century Shogun’s receive their daily bread? And what of Bonhoeffer who was ingloriously hanged, and our Syrian and Egyptian sisters and brothers who are now being crucified? Where is their daily bread? When Jesus said that we should ask for “our daily bread,” he did so with the understanding that this provision was provisional. God first! God’s kingdom first! God’s will first! Are we, spiritually and PRACTICALLY, willing to forgo “daily bread” in order to ensure the will and work of God? If saying “No” to ourselves would say “Yes” to God and others, only God and others, would we pray this prayer? I am reminded of the prayer of St. Thomas More: We should be willing to both pray and be the fulfillment of our prayer. I have become a master of imprecatory prayer. When I pray imprecatory prayers, bad things happen to bad people. For some years now, I have had occasion to think, and rethink, about this. Some years back I prayed, with faith, for the healing of a loved one. As usual, THEY WERE NOT HEALED. In frustration I cried out to God: “LORD, why are my imprecatory prayers ALWAYS answered and my healing prayers RARELY answered?” The answer, quietly within my heart and mind was this: “The reason, Don, is because you KNOW how to HATE well, but you do not know how to LOVE well.” That hurt! That woke me up! Jesus came to save us from sin (Matthew 1:21). He died for our sins and he was raised for our justification. Salvation is what our Lord’s incarnation, sinless life, suffering, death, and resurrection were all about. This was the cost of forgiveness and freedom. However, which often is our problem, salvation and healing are related. Isaiah the Prophet is quite clear about this. But, in spite of this, we are not always healed in this world. To rectify this problem we need to again turn to Jesus Christ. (Saint Paul, by the way, highlights the same message.) CHRIST SUFFERED AND DIED so that we might know forgiveness and freedom, life and liberation. God in the flesh endured pain for our sake. Are we willing to do the same? If our suffering meant salvation for another person, would we endure the suffering? Saint Paul said that he was willing to be “cut off” for the salvation of the Jewish people (Romans 9). 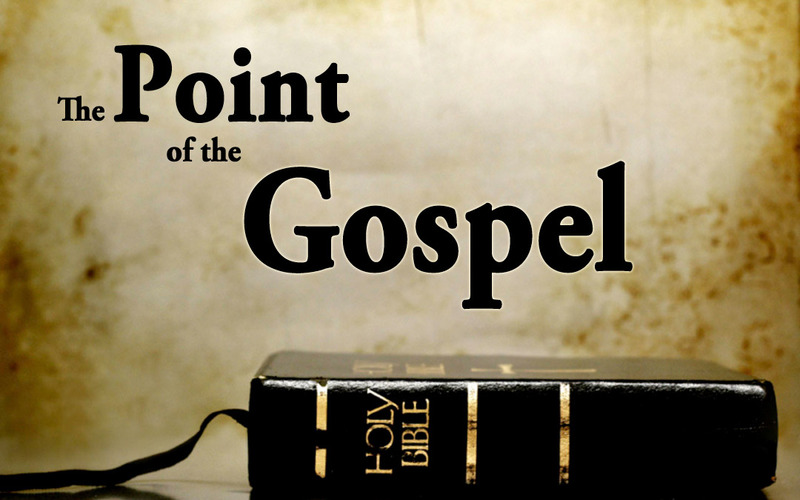 Are we willing to be “cut off” so that others might be “grafted into” the family of God? Saint Paul calls us to the task of “fill[ing] up what is lacking in the sufferings of Christ” (Colossians 1:24). Are we willing? Our Roman Catholic family has a far firmer grasp on this principle than most do. Sometimes our suffering can have salvific impact upon the lives of others– IF properly offered up to God on their behalf. Are we willing to serve God’s Kingdom by our suffering? Jesus was clearly led into the place of temptation. 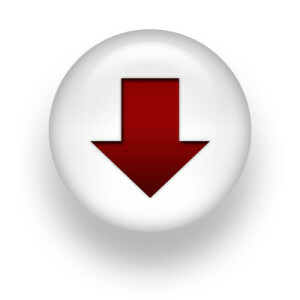 One of Gospels says “led,” while another tells us that Jesus was “driven” into the wilderness. There Christ confronted and conquered temptation. Our Lord tells us to pray in this way: “Lead us not into temptation.” If he urges us to pray this petition, it must be his full intention to deliver us. And yet, even when we “mortify our bodies” and “flee youthful lusts,” temptation is inherent to life. Temptation, properly addressed, helps us grow up in God. Temptation, properly processed, makes us strong. Many years ago a friend of mine committed suicide. His life was hard, he struggled and suffered, but one day he made one bad decision. He did not intend to kill himself. That was not his plan, but he died. I WAS ANGRY! I RAILED AGAINST HIM IN MY HEART! The reason my reaction was so very pronounced was because I was suffering from the very same emotional problem that he was experiencing. I needed an example of success and victory to encourage me. At that moment I made a decision: No matter how I was tempted, no matter what I had to endure, I would not make such a bad choice. I needed a person to whom I could turn, who would be an example to me at the time of my temptation. If nothing else, I would be the example that my deceased friend could not be. I would suffer through my own socio-psycho-pneumatic temptations so that other people could successfully endure the same. We should pray not to be led into temptation. Such a place is harsh and cruel. Nevertheless, properly addressed, my temptation can be an encouragement to other people. At times our properly processed temptations and hardships can inspire and encourage others to endure. One of the last words Jesus spoke on the cross should serve as a reminder to us: “My God, My God, Why have you forsaken me?” Christ endured this pain and shame on our behalf. He became a “have not” so that we could “have.” He became poor so that we could become rich. He “became sin for us.” His petitions both in Gethsemane and upon Golgotha were subservient to “Hallowed be Thy Name” and “Thy will be done.” His prayer, with full understanding of what this implies, must be our own. Lord Jesus Christ, Son of God, have mercy upon us. AMEN.